Karen Bell and Dafe Bullock met in their home town of Bristol whilst attending training at Fool Time and discovered a shared passion for circus, clowning and street theatre. Karen went on to do the Drama degree at Newcastle Poly and lured Dafe up north to join her. Together they founded Bell and Bullock in 1991 after a few too many scrumpys and a bet that ended in them forming the duo. Karen later attended the School for Fools and Physical Theatre courses at Circomedia leaving Dafe with a list of props to make and a few household chores to keep him out of trouble. His background in marine engineering, relentless imagination and a fascination with all things mechanical enabled him to turn fantastical ideas into ingenious reality. Lead by their training in clown, all their performances have a gentle and playful manner. With a wealth of experience they are able to coax even the shiest of children (and adults) to join in. 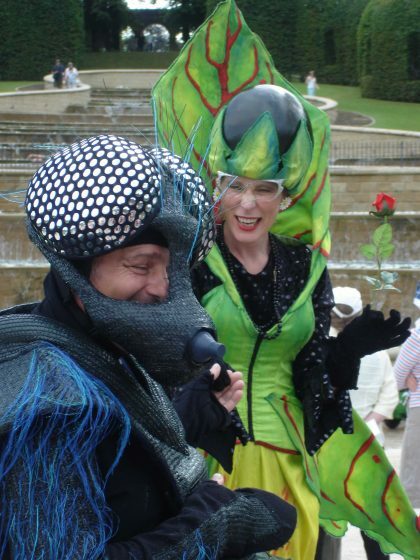 Their aim is to entertain, delight and to send audiences of all ages away with a smile on their face. As well as creating their own shows they also teach Circus, Clowning and Street/Physical theatre skills. They are currently teaching the Clowning Module on the new BTEC in Circus and Performing Arts running at Circus Central in Newcastle-upon-Tyne. 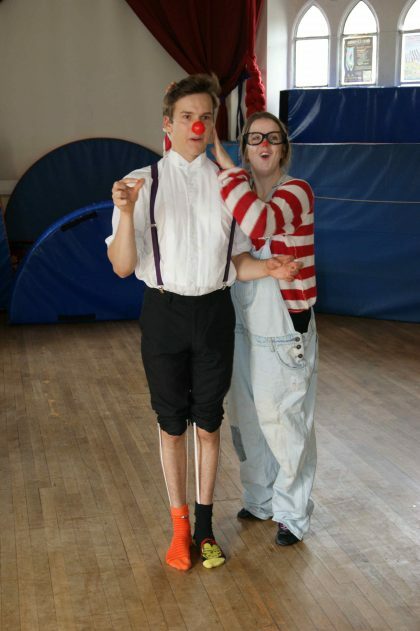 They are both part of the award winning Clown Doctors programme in association with Tin Arts. 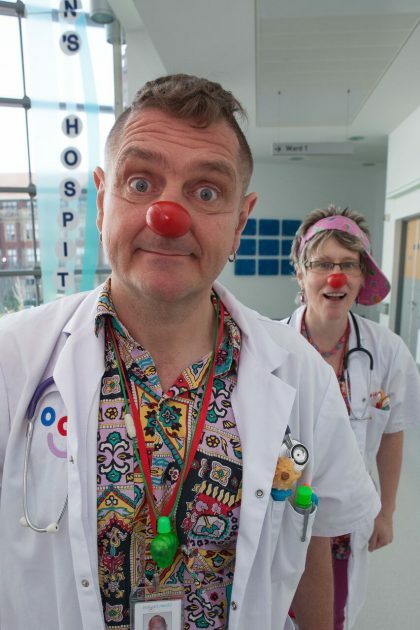 Their alter egos Dr Jamjuggle and Dr Fundango can be found delivering visits to children in Newcastle hospitals. When not doing all of this Karen has a keen interest in Holistic therapies and yoga. Dafe likes to make stuff and mix music and they both share a love of swing dancing, laughter and travelling. Bell & Bullock provided our school with an interesting and vibrant workshop, allowing students to try lots of new activities whilst developing many skills such as teamwork and risk-taking. They were well organised, professional and friendly and our students responded extremely well to them. I look forward to seeing them again in the future! I just wanted to say a huge thank you for the wonderful clowning and physical theatre workshop that you delivered at Rye Hills School… Your enthusiasm and energy was infectious; our students really responded and both students and staff involved enjoyed the experience! Thanks again, we hope to book Bell & Bullock again in the future! Bell and Bullock have collaborated with artist, maker and costume designer Barbara Agar of Bravura on many projects. This has helped to shape the visually stunning style of their strolling creations. More recently they have also worked with makers Rosie Bristow and Diane Guy. Also thanks to photographers and video makers – Ian Paine, S R Miller, Peter Spencer, Dawn McNamara, Sofi-Ona Hamer, Alex Finnegan, John Quinn, Jazzy Lemon, Adam Thompson and the late, great Mike Bridge for many of the wonderful images that appear on this site.